It's that time for milchigs and a lack of REM sleep. But it's also an opportunity to devote yourself to learning. Wishing you all a meaningful and enlightening Shavuos. Myths and Facts has it right. 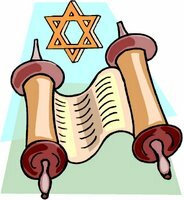 I know it's well after Yom Yerushalaym but I wanted to share a great site called Myths and Facts. Check out their page on Jerusalem HERE and then browse the entire site. Get educated. Know how to defend our claim to our homeland and capital from revisionists and liars. 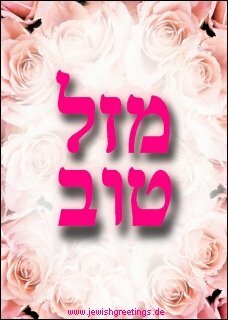 Mazal tov to my friend and fellow blogger A Simple Jew on the birth of his daughter! May he and his family have years of nachas and simcha from her! The Int'l Solidarity Movement, an organization working in tandem with terrorist groups in Palestinian Authority areas, has begun its summer recruiting activities. Israeli journalist and columnist Gideon Levy, of Haaretz newspaper, has recently been featured prominently in the newspapers of the Palestinian Authority, as well as on Islamist websites of the Hamas terrorist group. Lengthy excerpts from an article written by Levy, in which he strongly attacks the United States and Israel as "bullies", have been translated into four languages for publication on Hamas outlets, as well as appearing in the three PA dailies, Al-Hayat Al-Jadida, Al-Ayaam and Al-Quds. Itamar Marcus, director of Palestinian Media Watch, which reported the recent publications, noted that it is not the first time articles by Gideon Levy and other Israelis have been excerpted in Arabic translation by anti-Israel websites and media. "Articles from the Israeli Left attacking Israel and Israelis have quickly become a widespread anti-Israeli propaganda tool on the world's campuses," Marcus says. 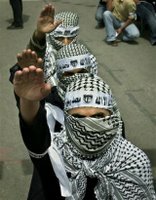 Extremist left wing organizations are planning a march and rally to call on Israel to negotiate with the Hamas Islamist government of the Palestinian Authority. The event is scheduled to take place Saturday evening in Tel Aviv. A sister protest is to be held in Ramallah with the participation of several Arab groups, including terrorist organizations such as Fatah, the Democratic Front for the Liberation of Palestine, and the Palestinian Liberation Front. The theme of the Tel Aviv demonstration has been promoted as "Stop punishing the Palestinian people! Stop the sanctions and the siege! Begin negotiations without preconditions with the elected Palestinian leaders! Stop the occupation!" The marchers will begin at Rabin Square and conclude at the Tel Aviv Museum. Among the speakers at the Tel Aviv half of the rally will be former minister and Meretz Knesset member Shulamit Aloni. The Tel Aviv protest is being organized by a coalition of Israeli Arab and far-left movements, including the Israeli Communist movement, Yesh Gvul, Gush Shalom, Taayush, the Arab political parties Hadash and Balad, and the GLBT youth movement of the Meretz party. Me: The death cult ISM is rearing its ugly head while the leftists drive the final nails into the coffin. This will be the end of Israel. Not Hamas. Not Iran. Our own people and a government which allows treason and self-hate to blind them. It is also the Yahrtzeit of the Saadyah Gaon, author of Emunot V'deiyot. May Hashem restore their light to Am Yisrael. Sales on Shabbat comprise only 4 percent of weekly proceeds for retail businesses, as opposed to 6 percent in 2003-2004. Expert: Drop due to longer opening hours on weekdays. The drop in Shabbat commerce, which began toward the end of 2004, is continuing. Statistics presented by Gamma show that sales on Shabbat comprise only 4 percent of the weekly proceeds for retail businesses, as opposed to 6 percent in 2003-2004. April 2006 saw a 30 percent decrease in the volume of Shabbat shopping compared with the peak years. The average credit card purchase on Shabbat stands at NIS 388 (USD 86), while on Sunday the average sale is NIS 602 (USD 133). According to Gamma CEO Ariel Ganot, the reason for the decrease in Shabbat shopping has to do with the fact that businesses remain open later on weekdays, allowing people to comfortably do their shopping after working hours. Another reason for the drop in Shabbat sales is that weekend shopping centers mainly on food, clothing, small home appliances and toys, while the costlier purchases are made between Sunday and Thursday, he added. Data also showed that the preferred day for shopping in Israel is Tuesday, during which 21 percent of all weekly commerce takes place. Israelis shop less on Friday, when the average sale stands at NIS 371 (USD 82). Me: It may not be much, but little things mean a lot. What was to be a run-of-the-mill organizational meeting for kibbutz and moshav youth movement leaders from the Jezreel Valley Tuesday ended in a shouting match when a far-left extremist Kibbutz youth leader, Yoel Marshak, began propounding his political opinions and promoting his personal political activities. The conference was called for by youth movements of the kibbutz and moshav movements in order to discuss the traditional year of volunteer work kibbutz and moshav youth undertake before their army induction. Marshak, as youth director of the kibbutz movement, was invited to speak only about the issue at hand; however, he decided to describe his own activities "on behalf of the hungry" throughout Israel, including "the downtrodden Arabs in the olive orchards in Samaria." Marshak was then cut off by shouts from one of the youth coordinators that he was a liar and a media hound. 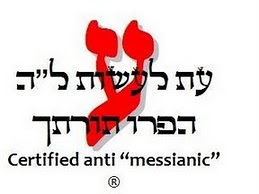 The verbal attack was seconded and intensified by a youth leader from the moshav movement, as well, which led to the meeting disintegrating and Marshak being unable to continue talking. One of the disruptive youth coordinators told Arutz Sheva Radio that he was not willing "to hear from a person who sets fires and causes division between religious and secular, between right- and left-wingers. When Marshak started talking politics, we interrupted him and we were unwilling that at our meetings there will be talk of divisions and conflicts." Me: A story. Ten years ago I went to visit my family in Cholon outside Tel Aviv. My cousin told me that I should visit the family at Kibbutz Sarid, a HaShomer HaTzair kibbutz. When I called to make the arrangement, another cousin told me flat out that if I wanted to come, I couldn't wear my kippa. Needless to say I never made the trip. Another story. My cousin told me about Pesach on the kibbutz. He said: "At the seder we have bread and Matzah. THAT is freedom (Zeh cheirut)." It has long been my opinion that the Left is philosophically far more stubborn and unyielding than the Right. There is no discussion or debate to be had with a liberal. They are right and everyone else is wrong. Now they are becoming more radicalized and therefore much more dangerous. They embrace terrorist organizations and murderers and espouse an illogical globalism that will surely lead to the destruction of civilization. How they can defend weakening Israel, America and Europe is beyond me. But it's happening all the time. And I come from the Left. I was brought up in a town that was founded as a commune. My grandparents met each other at a HaShomer HaTzair youth convention in Vienna. My aunt and uncle were sponsored for citizenship by Stephen S. Wise (of the famed Reform temple that bears his name). I was born and brought up in the Left. At a young age I saw the futility and hypocrisy of liberalism and took my own path. Interestingly, within Orthodoxy and the "Right" (I consider myself a moderate and yes, still an ardent Democrat) I have yet to meet any person who dislikes or mistreats someone because of their beliefs. Yet, I have found this to be rampant on the Left. 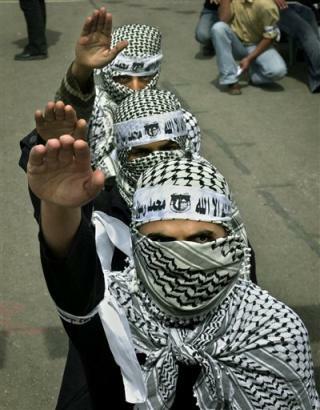 Leftists need to wake up and ask themselves if they really want to live in a world of Hamas and Hizbullah. Do they want communist and Arab MKs in the Knesset (ironic that Meir Kahane was barred from running because his agenda was "too radical")? Do they want a world where America is defenseless against terror? Do they really want Europe to lose it's identity and be held hostage? They need to stop, take a deep breath and really think about what they are fighting for. I almost spit out my toast this morning as I read this dangerously ridiculous "Op-Ed" piece by Sandy Tolan in the LA Times (yeah, I know. But I really enjoy the comics). No mention that Islam's third holiest shrine sits atop Judaism's Holiest Shrine. No mention that Jews are indigenous to Israel (Jews from Judah) and that the Arabs are not (Arabs from Arabia). No mention of the historical, religious and national ties that the Jewish nation has to the Land. And I don't know what Mr. Tolan is smoking but the 1929 Hebron Massacre attests to the fact that Palestine was not "one unified country where Arab and Jew can live together." Take a look HERE and educate yourself. Let Mr. Tolan know that his propaganda will not fly. Visit his site and send him an email HERE. Think the struggle is half way around the world? Still have your head in the sand? Well my dear friends, click HERE and see what's going on in Southern California. There is a serious problem in our shuls today. People allow their kids to run wild and yell in the hallways. Talking is at an all time high. People run out before davening is over to get a good spot at the kiddush. Where is the guarding of Hashem's house today?
" If your brother becomes destitute and his hand falters beside you, you shall support him [whether] a convert or a resident, so that he can live with you." Rashi: "35. you shall support him. Do not allow him to fall down and collapse altogether, in which case it would be difficult to pick him up again [from his dire poverty]. Rather, “support him” while his hand is still faltering [for then it is easier to help him out of his trouble]. To what can this be compared? To a load on a donkey-while it is still on the donkey, one person can grasp it and hold it in place. Once it falls to the ground, however, [even] five people cannot pick it up. - [Torath Kohanim 25:71] "
This has more practical applications then just money. Our nation is faltering as our enemies surround us with drawn swords. We need to help our nation by giving extra charity, learning more Torah and doing more chessed. Rav Yisroel from Heineni has a beautiful thought: "The Torah is teaching us a lesson. If you can help a person don't delay. If one cannot afford to give charity a kind word of encouragement is always welcomed, this is called Chizuk giving strength. Nobody is so poor that they cannot afford a kind word." May Hashem send them a complete refuah! Sorry for the posting delay. On Lag B'omer my wife gave birth to a beautiful baby girl! May she witness the coming of Mashiach soon and be a zchus for all Klal Yisrael. German authorities said this week that 3.5 milliion people visited Berlin's Holocaust memorial, making it one of the German capital's most popular tourist sites. "It has become a tourist magnet," Uwe Neumaerker, director of the foundation that oversees the memorial, told reporters. The site was designed by US architect Peter Eisenman and opened one year ago after 17 years of debate and controversy. The memorial uses a haunting, abstract design to preserve the memory of the 6 million Jewish victims of Nazi terror. Situated on a vast plot of land between the Brandenburg Gate and the remains of Adolf Hitler's bunker in central Berlin, it consists of 2,711 grey gravestone-like slabs of varying height that form a tight grid pattern through which visitors wander. Me: You know what would have been even nicer? Not killing 6,000,000 Jews. Thanks to A Simple Jew for tipping me off. 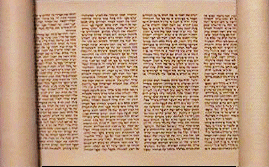 Rabbi Bar Tzadok of Koshertorah.com has a great essay on this week's parsha. 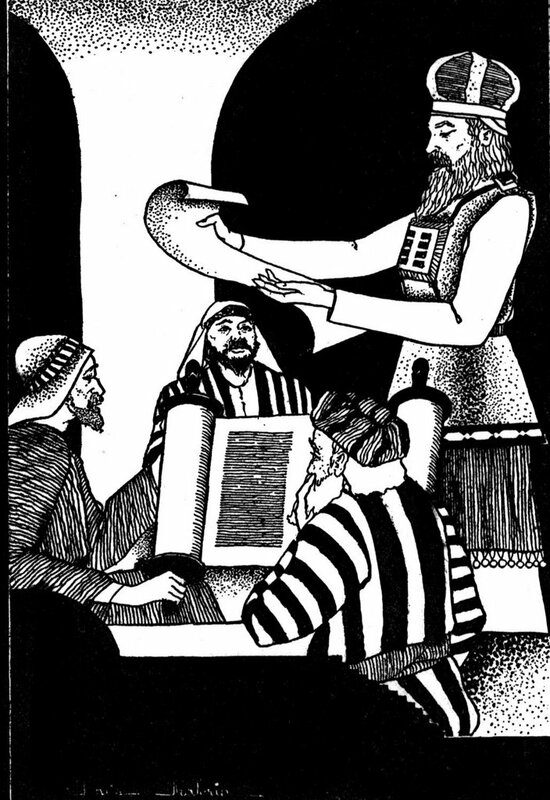 Parashat Emor deals with the issue of Kedusha (holiness) of the Kohanim (priests). The sons of Aharon were commanded by HaShem to be on a higher level of sanctity than the rest of the nation. The Kohanic level of Kedusha described in this parasha surprisingly does not contain any philosophical elements. The demands of Kohanic Kedusha are exclusively ritualistic. The sanctity of the Kohen limits for him his choice of marriage partners and prohibits his ritual defilement for death other than with the most immediate family. Indeed, the Kohen Gadol is prohibited to defile himself over the dead even for his immediate family. This strict set of ritual behavior sheds a light for us onto the real true meaning of Kedusha. Last night I dreamed that I was at the bottom of a fifty foot wall (it was not made of bricks or concrete but oddly enough like the rubber/plastic found in a "bouncy"). I started to climb it and was halfway up until a tsunami came and knocked me down. The waves were huge and terrifying. I started to climb back up and another wave came but this time it didn't knock me down. I held on for dear life and kept climbing. Then I woke up. This is my interpretation: I have been going through some bad personal and medical stuff lately. I had a very spiritual Pesach but the time after has been awful. As we count down to Shuavuos (fifty days) we are supposed to reach higher and higher in our kavana and Torah learning. I have certainly not been able to mentally, physically and spiritually. I guess I need to hold on tighter and keep climbing. Last night I had an odd dream. I was shown the number "144" and was infomed that it had to do with the coming of Mashiach. I checked every possible scenario until I was looking at the earth from above and grids formed like longitude and latitude. The numbers 12 by 12 appeared and centered exactly on Jerusalem. I have no idea what the dream meant but it felt like a strong message. Will the suffering never end? May this be a kapara for all Klal Yisrael. Me: But apparently it's still illegal to inheret your ancestors' land. British National Archives unveil presence of Nazi S.S. agents in Mandatory Palestine, working closely with Palestinian leaders. (from ynet news) Historical documents in Britain’s National Archives in London show that Nazi Germany attempted to ship arms to Palestinian forces in the 1930s. British documents from the same period, and German records photographed by an American spy and sent to the British government, said that a number of Nazi agents were sent to Mandatory Palestine, in order to forge alliances with Palestinian leaders, and urge them to reject a partition of the land between the Jewish and Arab populations. I Samuel: And there was one man... Elkanah... And he had two wives; the name of the one was Hannah and the name of the second was Peninnah; and Peninnah had children, but Hannah had no children. And that man was wont to go up from his city from appointed time to appointed time, to prostrate himself and to slaughter (peace offerings) to the Lord of Hosts in Shiloh, and there the two sons of Eli, Hophni and Phinhas, were serving the Lord. And when it was the day, and Elkanah slaughtered (peace offerings), and he would give to Peninnah his wife and to all her sons and daughters portions. And to Hannah he would give one choice portion, for he loved Hannah, and the Lord had shut up her womb. And her rival would frequently anger her, in order to make her complain, for the Lord had shut up her womb. And so he would do year by year, as often as she went up to the house of the Lord, so she would anger her, and she wept and would not eat. And Elkanah her husband said to her, "Hannah, why do you weep? And why do you not eat? And why is your heart sad? Am I not better to you than ten sons?" And Hannah arose after eating and after drinking, and Eli the priest was sitting on the chair beside the doorpost of the Temple of the Lord. And she was bitter in spirit, and she prayed to the Lord, and wept. And she vowed a vow, and said: to Lord of Hosts, if You will look upon the affliction of Your bondswoman, and You will remember me, and You will not forget Your bondswoman and You will give Your bondswoman a man-child, and I shall give him to the Lord all the days of his life, and no razor shall come upon his head. And it was, as she prayed long before the Lord, that Eli watched her mouth. But Hannah, she was speaking in her heart, only her lips were moving, and her voice was not heard, and Eli thought her to be a drunken woman. And Eli said to her: Until when will you be drunk? Throw off your wine from upon yourself. And Hannah answered and said: No, my lord, I am a woman of sorrowful spirit, and neither new wine nor old wine have I drunk, and I poured out my soul before the Lord. Deliver not your bondswoman before the unscrupulous woman, for out of the abundance of my complaint and my vexation have I spoken until now. And Eli answered and said: Go in peace, and the God of Israel will grant your request which you have asked of Him. This is where we get our tradition of saying the Amidah (Shemoneh Esrei) silently. Also, we leanr that Eli consulted the Urim v'Tumim about Hannah and the letters shin, chof, reish, hey lit up. He interpreted them as "ShiKuRaH" drunk woman when in reality it was to mean "K'SaRah" [the woman is] like Sarah. Attacks continue with Kassam rockets, a suspected murder of an eight-year-old Jewish child, rock-throwing, shootings, a bomb at Rachel's Tomb in Bethlehem and an attack at Elijah's Tomb in Haifa. Me: Let's just ignore it in the name of Democracy and pluralism. Ready for the juicy irony? Here goes. The Saudi Arabian Embassy in Manila has issued a warning that entry of non-Muslims into the cities of Mecca and Medina, the two holy places in Islam, is strictly prohibited, the Department of Foreign Affairs (DFA) said Tuesday. Oscar G. Valenzuela, DFA Assistant Secretary for Middle East and African Affairs, said transgressors are subject to severe punishment if caught. Reports reaching the DFA said false certificates of Muslim identity have been used by some overseas workers to illegally enter Saudi Arabia as umrah and hajj pilgrims. The Office of Muslim Affairs earlier warned that persons found in possession of or attempting to obtain false certificates of Muslim identity will be prosecuted. Valenzuela also warned Filipinos seeking fake certificates of Muslim identity against using them for employment in the Kingdom of Saudi Arabia. He said the DFA has received reports that some unscrupulous recruitment agencies have been sending workers to Saudi Arabia who are advised to misrepresent themselves as Muslims. He said overseas Filipino workers who use the fake certificates may be arrested by Saudi authorities. 17. And Zadok the son of Ahitub, and Ahimelech the son of Ebiathar were [the] priests; and Seraiah was scribe. 18. And Benayahu the son of Yehoyada [was over] the archers and the slingers; and David's sons were chief officers. Isn't the Hebrew clear that the last line states that indeed David's sons were Kohanim (Priests) just as line 17 states about Ahitub, and Ahimelech the son of Ebiathar? SPEAK OUT to save Jerusalem! (IsraelNN.com) Kadima Knesset Member Otniel Schneller is drawing up a plan to divide Jerusalem. His blueprint would give turn over most of the Arab neighborhoods in the capital to the Palestinian Authority (PA), he told the Associated Press. 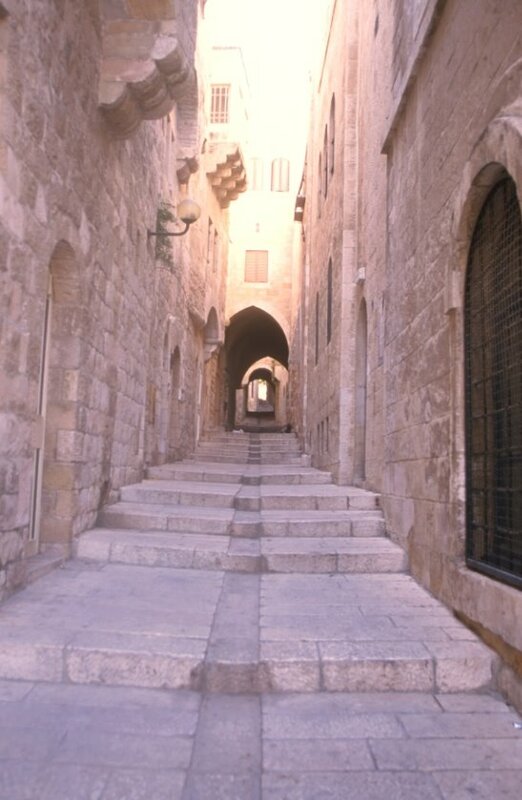 The plan calls for moving the separation barrier westward.The status of the Old City would be part of a "special region with special understandings" but under Israeli sovereignty. Schneller stated, "Those same neighborhoods will, in my assessment, be central to the makeup of the Palestinian capital ... al-Quds, [the Arabic name for Jerusalem). We will not divide Jerusalem, we will share it." Me: Outrageous! Speak up. Speak out. Write to Knesset and organize a petition. Do not stand by the blood of your brothers and sisters. And the Lord spoke to Moses, saying, speak to the entire congregation of the children of Israel, and say to them, you shall be holy, for I, the Lord, your God, am holy. Though I am not a Chabadnik, I find their Parsha page and translation to be excellent and a must read each and every week. This week's Parsha deals with Holiness. Hashem gives us the formula, we need only follow the instructions. You shall observe My statutes and My ordinances, which a man shall do and live by them. I am the Lord... When you reap the harvest of your land, you shall not fully reap the corner of your field, nor shall you gather the gleanings of your harvest. And you shall not glean your vineyard, nor shall you collect the [fallen] individual grapes of your vineyard; you shall leave them for the poor and the stranger. I am the Lord, your God. You shall not steal. You shall not deny falsely. You shall not lie, one man to his fellow. You shall not swear falsely by My Name, thereby profaning the Name of your God. I am the Lord. You shall not oppress your fellow. You shall not rob. The hired worker's wage shall not remain with you overnight until morning. You shall not curse a deaf person. You shall not place a stumbling block before a blind person, and you shall fear your God. I am the Lord. This has become a world of self-involvement. There is rising hate, racism, poverty, ethnocentrism and a disregard for our fellow man. We are desensitized to the suffering of others. We shut everyone and everything out. We talk on our cellphones to someone far away but disregard the person standing in front of us. We cut off people on the road so we can get to where we need to be seconds earlier. We look away when the poor and needy ask for help. Let's try and commit ourselves to being Holy by emulating G-d. Help others, have mercy and strive for truth. It's all laid out in this week's parsha.